Please note Date with Fawad Khan occurred in past. 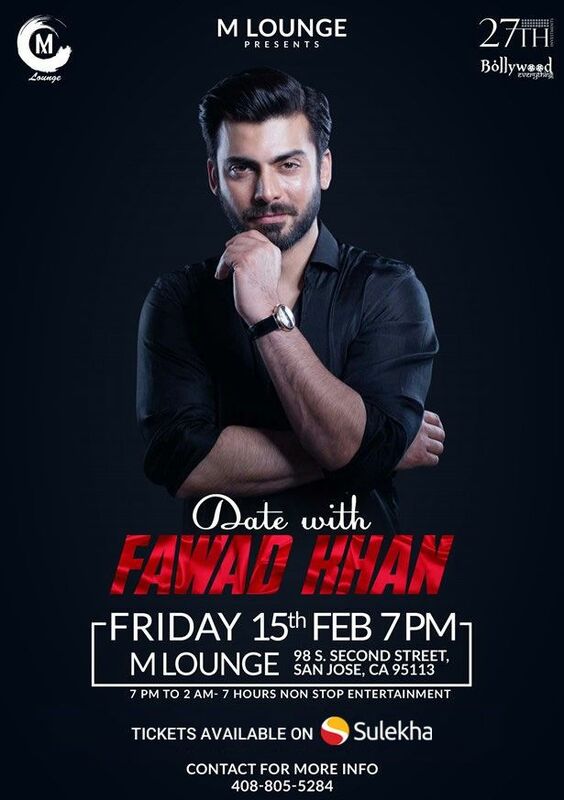 Entry to "In Conversation with Fawad Khan"
Get ready for the Ultimate Date this Valentines Day.. Yes!!! The actor who took the world by storm with his drams like Dastaan, Zindagi Gulzaar Hai and films like Khoobsurat, Kapoor & Sons and Ae Dil Hai Mushkil will be in San Jose!!!! 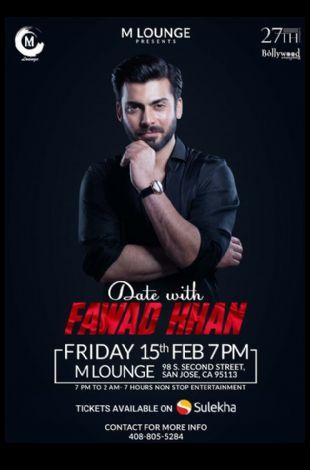 The evening will kick off with scrumptious dinner date with "Fawad Khan in conversation" followed by Meet & Greet Opportunity and ofcourse afterparty M - Style! with DJ Arjav spinning the hottest tracks. Exclusive chance to get up, close and personal with Fawad Khan!!! !